At Wolfe and Swickard Machine Co., our challenge is always to improve our quality and productivity. In 2015, our primary challenge was to find a reliable lathe that would aggressively machine product while maintaining a quality standard. We also needed to add capacity in a large turning lathe. J&M Precision Products, a Chevalier dealer, recommended Chevalier’s FVL-1250VTC, a vertical turning center that included the capacity, rigidity, precision and value that we needed. Today, the FVL-1250VTC machine runs in our Indianapolis shop, consistently removing more than 1,000 lbs. of material per hour from a carbon steel ring. The swing and cut diameter is 63” with a maximum turning height of 47.2”. The maximum torque is 8,458 ft.-lbs. with a table speed of up to 300 RPM and a 60 HP motor includes a 2-speed gearbox. In addition to the capabilities of the FVL-1250VTC machine, we were looking for a company that would stand behind its product and continue to be a partner after the sale. We found just that with J&M Precision Products and Chevalier Machinery. To top it off, at the same time, we were looking to expand our machining capability into milling of larger parts. 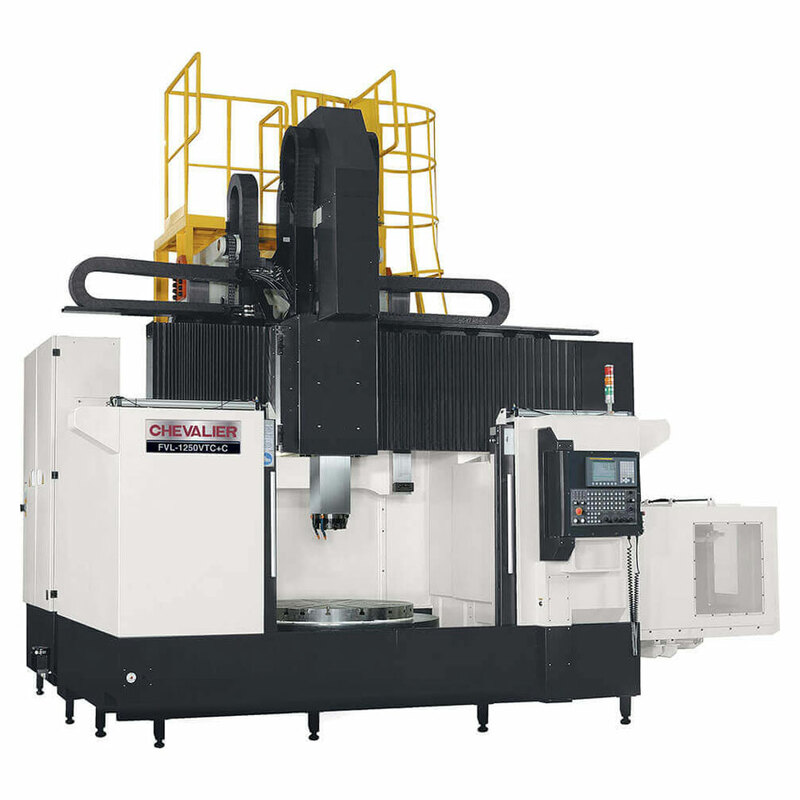 The Chevalier FVM-DCL series, a double-column machining center, was a solution. The FVM-DCL series machines have the ability to machine a large part in both weight and physical size. They also have the capability to be utilized in a horizontal milling capacity as well as vertical milling. Impressed with the quality of Chevalier’s FVL-1250VTC, we decided to stay with the brand and purchased an FVM-4034DCL with a 5-face, 90-degree angular head that included the capacity of a table size of 161 inches by 118 inches and a table load of 33,000 lbs. The FVM-4034DCL’s maximum part height under spindle is 68”. The distance between columns is 142”. This is another impressive piece of equipment for our shop. It’s impressively rigid even with the spindle fully extended in the Z-axis. Both machines are high points of our facility tours. Our new Chevalier machines are performing very well and were a great solution for our specific machining challenges. The FVL-1250VTC, in particular, has allowed us to save nearly 20% in material costs by allowing us to purchase a more standard sized ring with fewer operations at the foundry while adding relatively little additional machine time. This has equated to an overall savings on the part.